In this paper we analyse the frequency at which vulnerabilities are exploited in the wild by relying on data collected worldwide by Symantec’s sensors. Our analysis comprises 374 exploited vulnerabilities for a total of 75.7 Million recorded attacks spanning three years (2009-2012). We find that for some software as little as 5% of exploited vulnerabilities is responsible for about 95% of the attacks against that platform. This strongly skewed distribution is consistent for all considered software categories, for which a general take-away is that less than 10% of vulnerabilities account for more than 90% of the attacks (with the exception of pre-2009 Java vulnerabilities). Following these findings, we hypothesise vulnerability exploitation may follow a Power Law distribution. Rigorous hypothesis testing results in neither accepting nor rejecting the Power Law Hypothesis, for which further data collection from the security community may be needed. Finally, we present and discuss the Law of the Work-Averse Attacker as a possible explanation for the heavy-tailed distributions we find in the data, and present examples of its effects for Apple Quicktime and Microsoft Internet Explorer vulnerabilities. 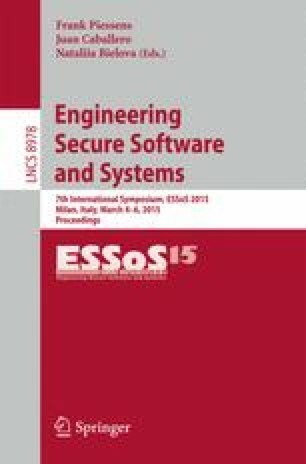 The author would like to thank Prof. Fabio Massacci at the University of Trento, Julian Williams at the University of Durham (UK) and Matthew Elder at Symantec Corp. for their many useful comments. This project has received funding from the European Union’s Seventh Framework Programme for research, technological development and demonstration under grant agreement no 285223 (SECONOMICS). This work is also supported by the Italian PRIN Project TENACE. Our results can be reproduced by utilizing the reference data set WINE-2012-008, archived in the WINE infrastructure.